October 1973 is not a stop along the Great Rock Myth highway, but its import should at least be recognised with a plaque: “Here lies the deathbed of the tyranny of originality”. 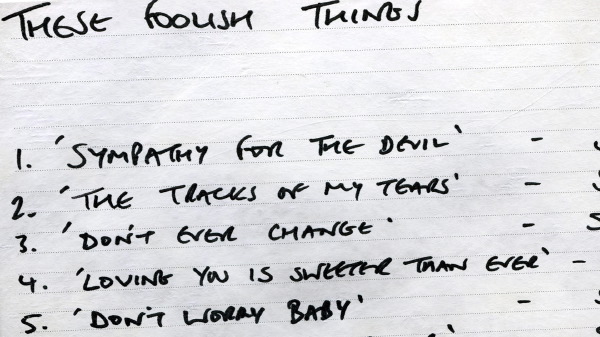 Despite its modest appearance and unheralded reputation, Bryan Ferry’s first solo outing, These Foolish Things, remains as much of a revolution in the head as the great LPs of ’67 or ’77, and its legacy is perhaps stronger than those totemic records by virtue of the implications it has for the wider rock and pop continuum. The struggle for power between the singer and the song seemed almost over by the time of the album’s release: after the Beatles, how could a rock musician ever claim legitimacy or validity without writing their own material? There can be no sincerity or personal expression without originality, went the current line of thought. The song was king, and the singer was relegated to dank and smoky jazz clubs, a parody only fit to regurgitate the ideas of greater men in perpetuity; then came the hard rain, to wash the scam from the streets. After the immediate and dizzying success of the first two Roxy Music albums, their frontman and icon repaired to Air studios in London to plan his next ambush of the pop vanguard, the standard-bearers of rock convention – and what greater convention than the mid-60s hangover that serious rock artists exclusively wrote and performed their own material? 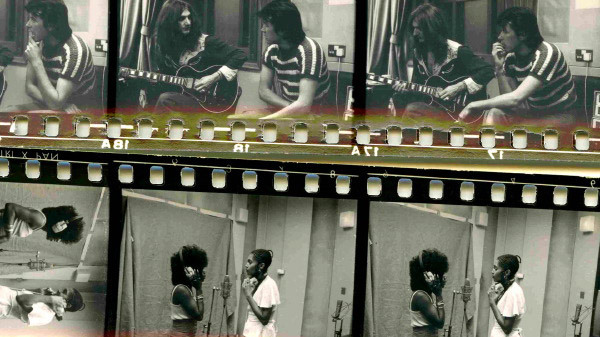 Just as ‘Re-make / Re-model’ had announced Roxy’s arrival and encapsulated their conceptual universe, so too Ferry’s take on ‘A Hard Rain’s A-Gonna Fall’ presaged the album’s iconoclastic and eclectic vision: the protest movement’s most sacred of cows casually twisted to fit the will of music’s latest arch dandy, the hymn of nuclear paranoia fashioned into an anthem for the post-Altamont generation, two well-manicured fingers raised elegantly to the straightjacket of 60s purism and its crippling overemphasis on sincerity. This is pop’s jailbreak, organised by its foremost artisan and intellect. Ferry took Dylan’s masterful acoustically-strummed festival anthem and turned it into a throbbing electronic scenario, its fascination as much the curiously distant relationship between the singer and the song as the impeccable musical accompaniment. The rest of the LP is no less satisfying conceptually – with no musical personality too intimidating for the fearless singer, we are treated to exquisite interpolations of the best-known works of many of the ’60s most revered icons: Brian Wilson (‘Don’t Worry Baby’), The Glimmer Twins (‘Sympathy for the Devil’), The Beatles (‘You Won’t See Me’) and Smokey Robinson (‘The Tracks of My Tears’). Invoking Ferry’s personal connection to the American pop landscape, the album flits from the bustle of Broadway’s Brill Building (‘Baby I Don’t Care’) to The Beach Boys’ Californian Sunsets, stopping over in the motor city (‘Loving You Is Sweeter Than Ever’) as if to emphasize the greater structure of the country’s network of musical exchange. Perhaps this is the greatest asset that These Foolish Things possesses: its varied source material serves as a panorama from which the dendritic course of post-Jazz music for the masses can be seen desegregated. If the 70s narrative is frequently portrayed as one of conflict between rigid and exclusive clans, whether political, social or aesthetical, then Roxy’s manicured mastermind asserts his position as that era’s glamorous go-between, a one-man movement of revisionism and unprejudiced appreciation for the entire pop panoply; it’s his party and we’re all invited – how can you possibly resist the call?